From the tops of our heads to the tips of our toes, things are starting to heat up! 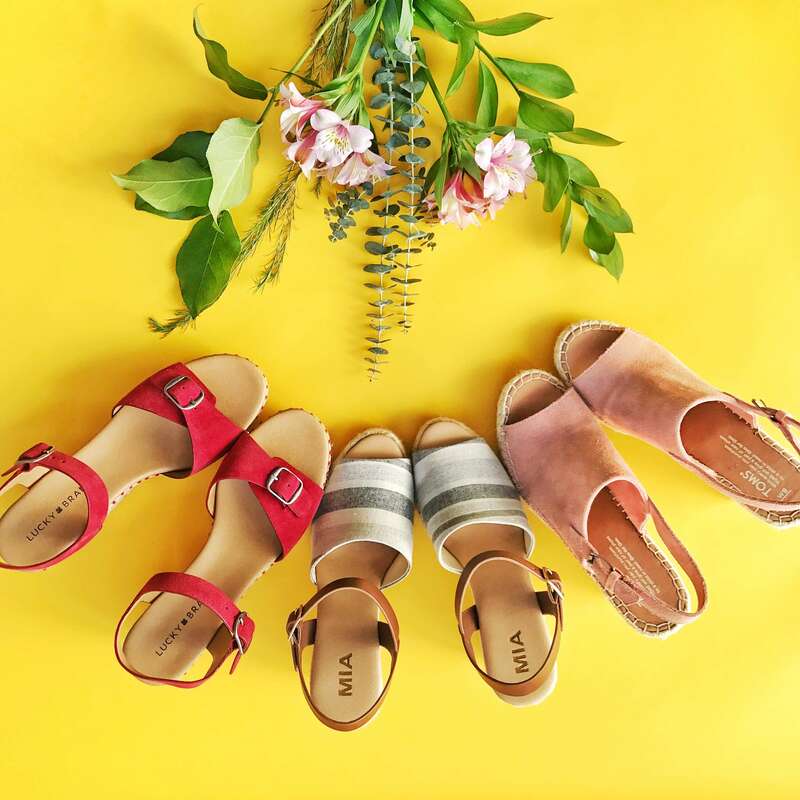 Get your pedicures ready & kick up your heels for sunny days with our guide on shoes for warm weather (finally!). Sliiiide to the left! And then slide into these simple and chic slide sandals. Perfect for parkside or poolside, these minimalist shoes are an easy addition to any warm-weather look. Look and feel trendy in a pair of fashion sneakers. Classic white is an easy option, but major style points for a pair of sneakers with a fun accent (hello, tassels!) or a bold color for a statement that is more than a footnote. Sometimes, a rubber soul just won’t cut it. 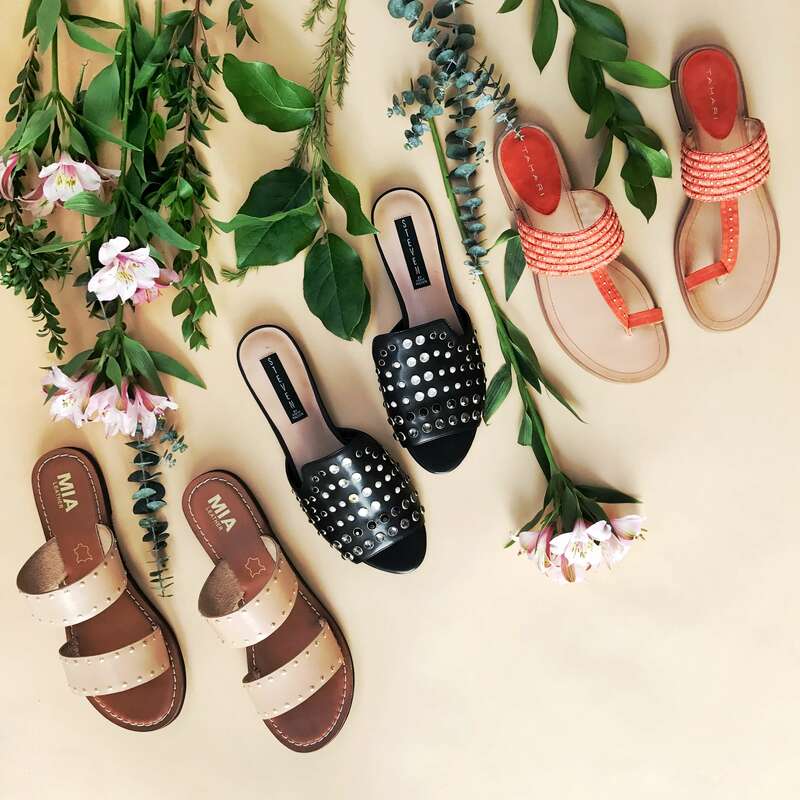 Need a sandal with a little more support? Opt for some hardware! Structured leather or faux leather sandals offer a bit more backbone for our more adventure seeking fashionistas. Would you believe it? Wedges! These elevated sandals are perfect for when your look needs a lift (literally and metaphorically). Added bonus, they totally lengthen your legs. A classic. 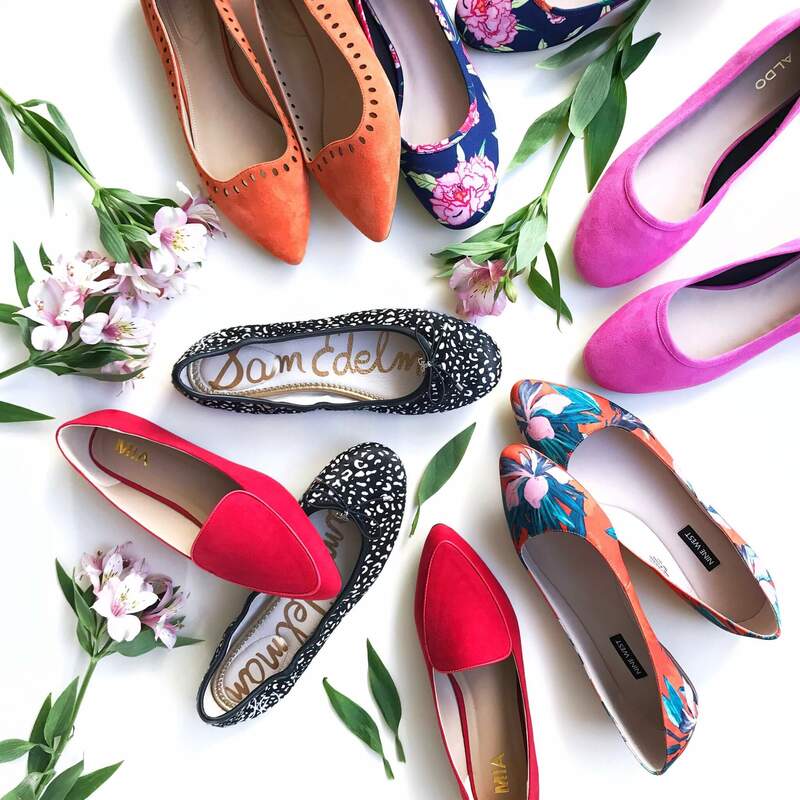 Flats are the timeless go-to for warmer seasons. Whether you’re headed to work, or just kicking around with friends, a bold colored or patterned flat is a seamless finishing touch to any outfit. You’ve got places to be! 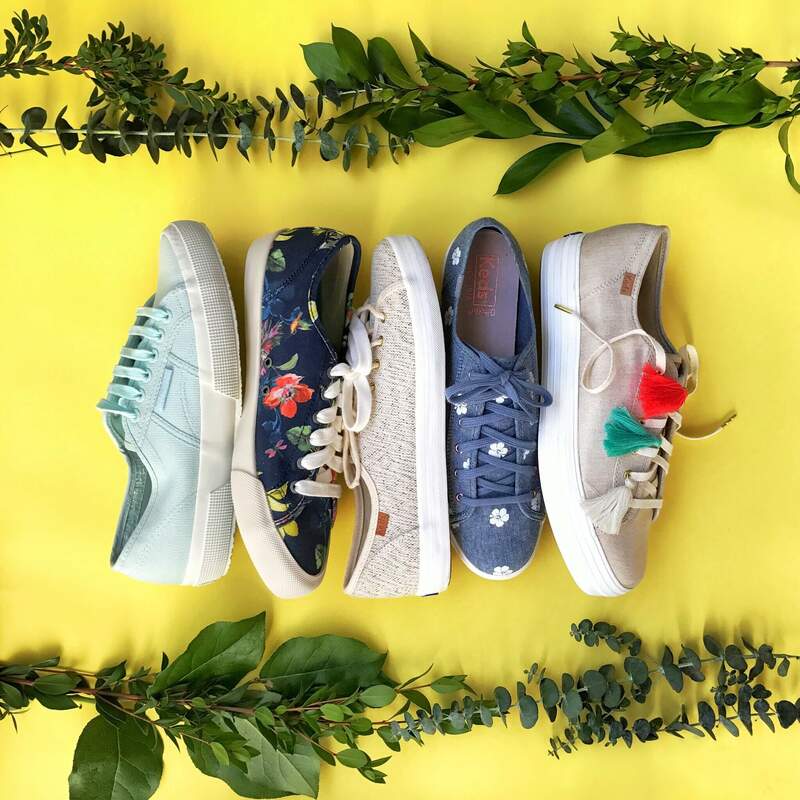 Throw on your favorite pair of warm-weather kick and get out there. Your feet will thank you.